Hi, My Dear Friends This is For You. If you are Looking for Australia Vs Pakistan Live Cricket scores And Highlights Ball by Ball 08/07/2018. Then Your are landed at Right Place. Just read the Complete Article. Australia Won the toss Decided to bat first. Fakharn Zaman, Haris Sohail, Hussain Talat, Sarfraz Ahmed, Shoaib Malik, Asif Ali, Shadab Khan, Faheem Ashraf, Mohammad Nawaz, Hasan Ali, Mohammad Amir. 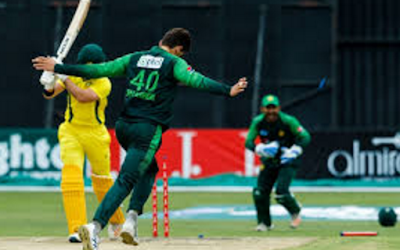 Aaron Finch, D Arcy Short, Nic Maddinson, Glenn Maxwell, Travis Head, Marcus Stoinis, Alex Carey, Ashton Agar, Andrew Tye, Jhye Richardson, Billy Stanlake. Australia Total Runs - 183. Pakistan Won the Match by 6 Wicket.